GIVEAWAY – Eleanna… from Jewelry to Sockmonsters!!!!!! Have I told you that I am a proud member of Greek etsy team? And you know what is the best? That in the specific team I have the opportunity to meet new amazing people and great artists not only via web but in real life too! Another thing I also love in Etsy community, that you can meet other’s inspirations and you can admire too many different creations with the same materials! So today I am honored to represent you a great friend and a talented crafter! How I met Eleanna? From her well-written seminal tutorials and her SockMonsters! And it is weird how these sock dolls can be pretty and cute even for monsters! I visited her shop and I was surprised that she also creates amazing full of colors jewels in different styles! Unique minimal geometry necklaces, hippie earrings from polymer perfect for your Spring and Summer appearance, floral beaded necklaces in bohemian style, beautiful romantic cuff bracelets….! To be honest when you visit her shop it is really difficult to leave it without spending at least half an hour admiring her work… you will be happily “lost” in her shop!!! But let meet her in a few lines…. I grew up in Athens but I come from Serifos and Pelion, two lovely places in Greece. I have lived in France, Italy, the Netherlands and the UK but I ‘ve never traveled outside Europe. I have studied architecture [AUTH, Greece] and Urbanism [Msc, TUDelft, Netherlands]. I make many questions, I laugh out loud [really loud] and I love dancing,swimming and biking but mostly eating chocolate 😛. I have been making jewelry more than 10 years, but even before that, I ‘ve always been up to something creative: drawing, sewing, crafting in general. I don’t know if it is a matter of genes, but certainly a creative environment helps: my dad was a painter, my mum draws and sews greatly and my grandma was a crochet master. What I love about crafting jewelry and creating sock-creatures is that I can make everything on my own. The creative process in this scale is much faster and I can control all the phases: idea-concept, design and construction. And this is what I think I miss when designing for smaller scales, where the results are more long-term. While creating, I feel more me. I love the whole process: the moment an idea strucks me and I get completely enthusiastic about it; the procedure of trying to figure out how to realize it; designing the final piece or details; choosing best tools, methods and materials; combining materials and making the synthesis; and my favorite part: having the end product! I am a fan of sharing knowledge and ideas and motivating everyone to get creative. Lately, I write crafting tutorials for crafttuts+ [http://craft.tutsplus.com/author/eleanna-kotsikou/] , which I really enjoy. I love being a member of the Etsy Greek Street Team, where I met lovely people and made good friends. It is a vibrant fast-growing community that spreads the crafting spirit and I think it is awesome sharing creative enthusiasm with others. Thank you so much Zina for your sweet hospitality! Eleanna was really kind to offer a beautiful minimal geometric necklace from her collection as a gift to one lucky lady!!!!! So in order to have the chance to win this beautiful necklace, just use the Rafflecopter below and earn more entries. Good Luck! Thank you Eleanna!!!!! mats mouts! One of my favorites: http://www.etsy.com/listing/75680932/personalised-geometric-minimal? Love Eleanna's work and style. Really unique! 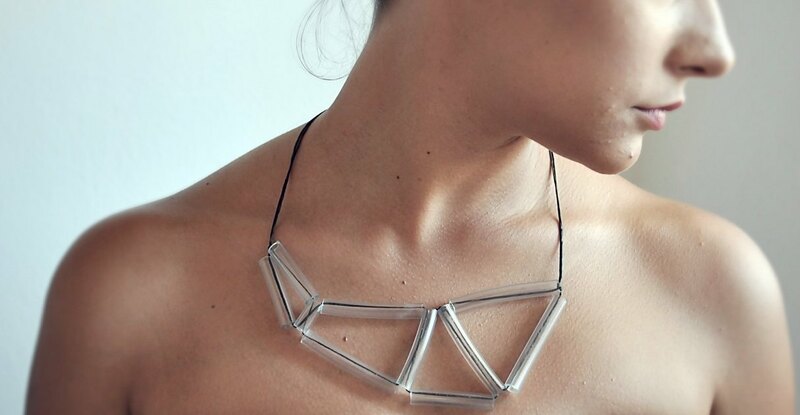 You can tell she is an architect as well as a jewelry designer. Amazing work and so unique creations!!! Thank you for the chance. Her work is really unique, and I love it. Love Eleanna's work and style. Eleanna's work is really unique! One of my favorites http://www.etsy.com/listing/75680932/personalised-geometric-minimal? Unique creations, This one is my favourite! I love El's work! I don't know if I have a favorite since I trully like her birdies but I am also in love with Babys Longlegs (her OOAK monster I bought last year) who stares down on me as I write these lines. All the best to you dear! You are so talended!!! Moss green asymmetric beaded glass necklace with turquoise wood clay flower! I love the Tribal multi pendant polymer clay necklace-Boho- rustic- earthy colours. It is my favorite. Lovely shop! My favorite is the Long Whimsical Boho Assymetrical Pendant necklace. Cute! My favorite item is http://www.etsy.com/listing/113557686/tribal-multi-pendant-polymer-clay? Loved the Geometric statement necklace- minimal assymetric industrial- network-plastic tube-lines gradual- under 50!!! I love the fish necklace!